When we first shared a glimpse into our plans to take the Disney guest experience to the next level, we had just begun to unveil MyMagic+ at the Walt Disney World Resort. Our goal from the beginning has been to enhance the guest experience and make it even more immersive, seamless and personal than ever before. Now, nearly 3.5 million guests have participated in testing, and the vast majority are telling us that MyMagic+ has made their trip even better. This is a big step forward in the evolution of our guest experience, and what we’re seeing in early returns is fantastic. Guests are telling us that they really like being able to arrange the day the way they want to, with the flexibility to make changes on the go. They also are particularly excited about their experience with the MagicBand. They love the convenience, and we have received a lot of photos from guests showing the fun ways they are wearing them even before they arrive on property or after they return home. This week marks an exciting milestone for us in that we are now providing guests who might only be visiting for the day with the ability to fully engage in MyMagic+ before their visit. 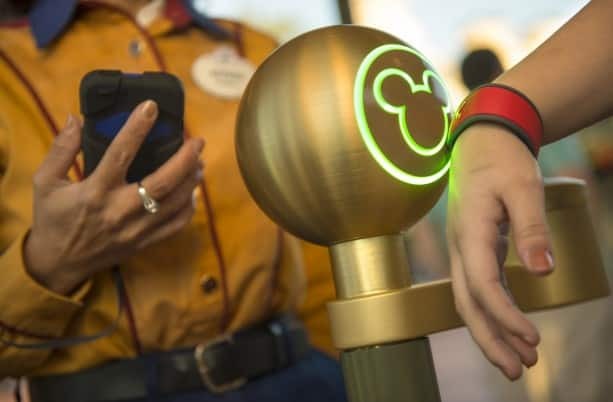 Guests can register on My Disney Experience online, reserve access to some of their favorite experiences with FastPass+ and also purchase MagicBands on-site, if they choose. 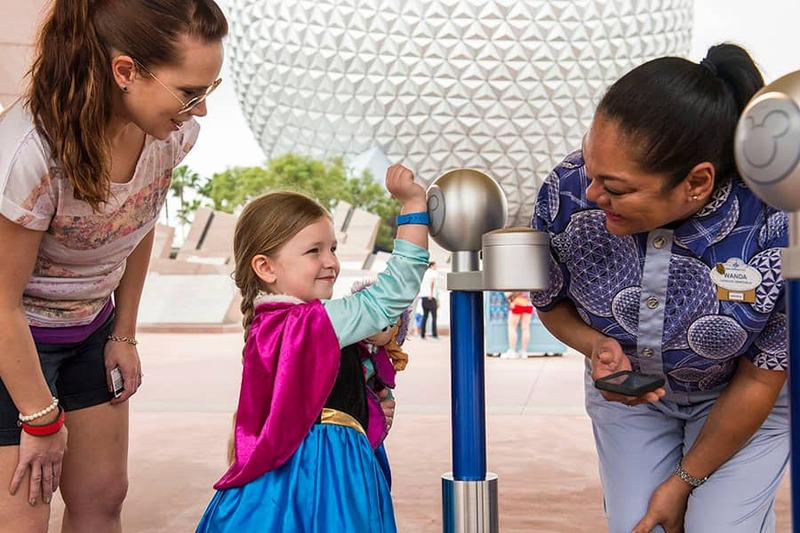 FastPass+ has been a crucial part of our testing, and we knew it would be popular, which is why from the beginning we more than doubled the experiences people could reserve in advance. We enabled FastPass+ access for a number of attractions and included other guest favorites like fireworks, parades and character meet-and-greets for the first time. As expected, most of our guests think that securing times to ride our attractions is one of the best ways to maximize the fun of a Walt Disney World Resort vacation. We’ve heard from a number of guests that they would like the opportunity to add additional FastPass+ entitlements during their visit, in addition to the three they can plan in advance. So, we’re working on providing them with the ability to add and enjoy additional entitlements on the day of their visit. Once they’ve used the three they’ve booked, we’ll enable them to select another at kiosks in the parks. And once they’ve used the fourth, they can select another, and so on. We also heard that other guests liked the fact that with the FASTPASS service they could use FASTPASS when they park hopped. So we’re working on a service enhancement to add that feature to FastPass+ as well. One of the best aspects of MyMagic+ has always been that our guests can relax and better enjoy their time with us, all the while knowing that the attraction they want to ride, or the moment they want to experience, will be there, waiting for them. And isn’t that what a vacation is all about? The more we can have everyone that goes to our parks feel like a VIP, the happier we’ll be with the experience we’re giving them. And that’s exactly what we’re striving for with MyMagic+. We’ll continue to share more details and updates on as we continue our roll-out, so stay tuned to the Disney Parks Blog for more! Can you please add black & white bands as colors to choose from when customizing magic bands?? Black and white are both classic colors – they should be very popular! Please?? Wish we knew when the additional fast pass services are available to help us better plan our trip the last week of April. 3 passes a day are much less than we are used to getting and makes park hopping almost impractical. Tom… I am glad to see the future improvements for more than 3 FP+, but would like to see as it has been said to add from the MDE app, after the first fast pass has been used. And the park hopping update will be great once implemented. Also PUSH NOTIFICATIONS would be great for dining reservatioins, and upcoming fast passes or other schedule events. Any chance for this update ? Wonderful news! We are within our 60 day window to reserve FP+ attractions. We will be at the parks the first week of June this year, but this change will affect how we reserve our 3 FP+ reservations that we currently have (we will want to schedule them for early in the day instead of later in the day). Do you anticipate these changes being available by the first of June? When does these changes start? It isn’t posted anywhere else and the online chat personnel are unaware of what I am asking about. Oh, this is exciting! We’ll be coming out to stay at the Resort, in Mid-May and are currently reserving our attractions, using FastPass+. Keep us updated! 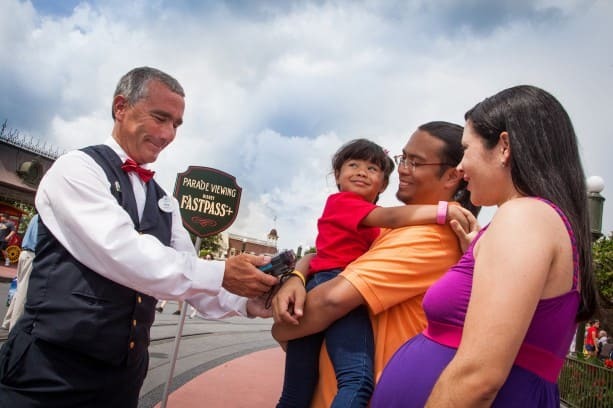 🙂 It would be absolutely magical to be able to use the same type of FastPass service we LOVED so much at Disneyland awhile back, after using our FastPass+ entitlements at Walt Disney World! Are there any plans to make MagicBands available to day guests online? I will be at WDW three days in Sept ’14. If not where exactly can we buy them in the parks and at Downtown Disney? I am going to the park in November and staying off site. I’m thrilled that we will be able to do fast pass plus. My question is, we have a 2 year old going with us, will she get a pass as well? Will day guests be able to buy Magic Bands online before they get to the park so that they can link it to their MyDisneyExperience account? I am in the parks a lot. I thought the old fast pass system was great. However the new Fast Pass + system uses mathematics to make the guest experience much better. The new system is a tremendous improvement over the old system. Since I do not have to spend time running around to get a fast pass, I now spend much more money purchasing food. The new system is great not only for guests but also for stockholders. Jenny – I’m assuming the data that connects your ticket with the band already KNOWS whether you’ve bought a day ticket or have a resort package. Whether it bars you at the gate on EMH if you aren’t staying, that would be interesting to find out. But if it replaces those strap-on bands for the night hours and the parties, that’s one stylish advantage. I love the idea of MyMagic+, my only complaint is there is no limit on how many fast passes are given per ride, per hour. With the old machines, only a certain amount of passes were given out to guest for each hour. Now it seems to be an unlimited creating lines just as long as the stand-by line, causing ride wait times to seem really long. Other than that, being able to access and control everything from a smart phone is helpful. I can’t wait for the Disney to get rid of all the kinks so that Magic+ is the amazing experience Disney is hoping for. I forgot to add that I’m looking forward to when this will be rolled out to the other Disney parks, for example, Disneyland in California. My family used MyMagic+ during our vacation in February. It was a good experience. We’re looking forward to the day when it can be used while park hopping. Keep up the good work, Disney Imagineering Team. I absolutely love FP+ and the MagicBand system. Bravo to Disney for taking the time to test, modify, and tweak the system in order to get it right. 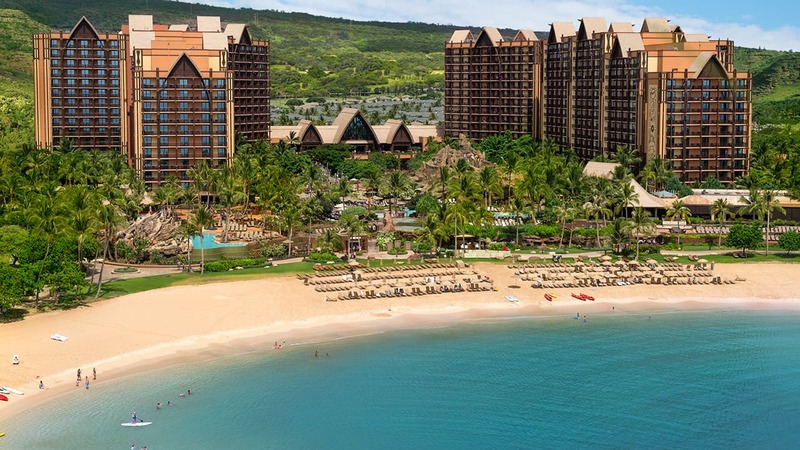 As a DVC member and AP holder who always stays on property, I would think that a benefit for resort guests would be the ability to access all FP+ tickets using the app. I can see having those who don’t stay on property have to use the kiosks when booking, but I don’t think Disney resort guests should have to. It should be a bonus to get your 4th FP+ to automatically pop up in the app. Another thought would be to have this just for DVC members or AP holders. There should be a perk for those who invest more money in the Disney brand and product that is a bit above those staying off site. I don’t really understand the logic behind the tiering system. Toy Story Mania OR Rock ‘N Roller Coaster? Soarin’ OR Test Track? That’s harsh! Won’t that only create longer lines for the attractions that are already popular? How can they tell the difference between a resort guest and a day guest during after magic hours? Our family group of 10 will be at WDW from September 21-25. We have already purchased and received our 5 day tickets. Will there be any way to exchange the “plastic cards” we received for a wristband when we arrive at the park? The wristbands would certainly be easier to keep up with and use once we are in the park. Our 4 grandchildren are so excited that they can hardly stand to wait. It is the first visit for our 6, 4, 3, and 2 year olds from Pennsylvania and Colorado. We are not staying in a resort because we wanted a 3 bedroom and 3 bath villa so we are all together since we live so far apart and only get all of us together once each year. Also, in Mr Staggs blog, he stated “…and also purchase MagicBands on-site, if they choose.” What exactly does that mean? Who will be required to purchase Magic Bands and who will be receiving them free? Congratulations for establishing this convenience! As a mother of a teenaged autistic boy we will be embarking on our twenty-sixth Disney Parks vacation to Walt Disney World this Fall and am very excited about the new DAS for your special needs guests and now with this new My Magic+ I believe our visits will be even more enriched and memorable. Thank you! We are also Gold Castaway Club Members with Disney Cruise Line and have sailed all four ships in the fleet. We are really excited about our ninth cruise with Disney sailing their Mediterranean itinerary from Venice. Being of Greek origin I cannot wait to see the expression on my son’s face when he visits Athen’s Acropolis for the first time. Thank you Disney Cruise Line! Visiting your Disney Parks on both East and West coasts of the United States brings about such wonderful developmental and social gains from my autistic son, which is the primary reason we keep returning, along with how very accommodating the Cast Members are to our personal needs. It’s so welcoming and makes us feel ‘normal’ for a change. I think making the My Magic+ available to all Disney Parks Guests, will pave the way for even more guests deciding to stay on property when they see first hand how very magical it is to stay at the uniquely themed Walt Disney World Resort hotels. What a forward thinking idea this is and I find it very exciting! I cannot wait to share this wonderful news through all my Social Media outlets. My park experiences are still in the days of paper FP’s, and using your hotel key for the parks, so now I’m looking to join the new generation. I’m very pleased to hear about the upcoming changes in the process which should address many people’s concerns about the current limitations of the new FP+ system compared to legacy fastpass – most importantly adding park-hopping, and the ability to select further attractions one-by-one on the day once you have used your pre-booked slots. Obviously there must be advanced limits to stop people booking out every attraction for the whole day, and three seems a very sensible level just as long as you can then book others (subject to availability) later in the day once you are in the park. One remaining question though: will the extra on-the-day booking options remove the annoyingly restrictive tiering limitations? For example, once you’ve ridden Maelstrom in Epcot using your advanced FP+ booking, would you then be able to get an on-the-day slot for Soarin’ (if there happens to be any availability left anyway) or even go back to Maelstrom again if you wish? That would remove the one remaining major inconvenience of the current test system, and make it truly a “plus” over the old paper-based system. But overall, a very big thank you for listening to guest feedback. I still can’t see how FastPass+ is beneficial to guests other than not having to run around to various attractions to get the paper passes. FP+ seems much more restrictive than the original FP. (Limiting the number of passes you can get in a day, limiting the selections of attractions to groups, etc.) I’d love to hear a full explanation as to how FP+ is better than FP. I hope next year of going and I hope I get the band’s too! Showing off with the magic band is truly a Disney Side I want to show! I hope they add the ability to make additional FP+ reservations from the app on your phone instead of only at the kiosks. Otherwise I’m really glad to hear this. We are planning our first trip in years and our first big family vacation ever and the limitation of only three FastPasses and the long lines I’m hearing about has been making planning stressful.